If you are looking for a 4K monitor but you are having trouble deciding which one to choose, you have come to the right place. 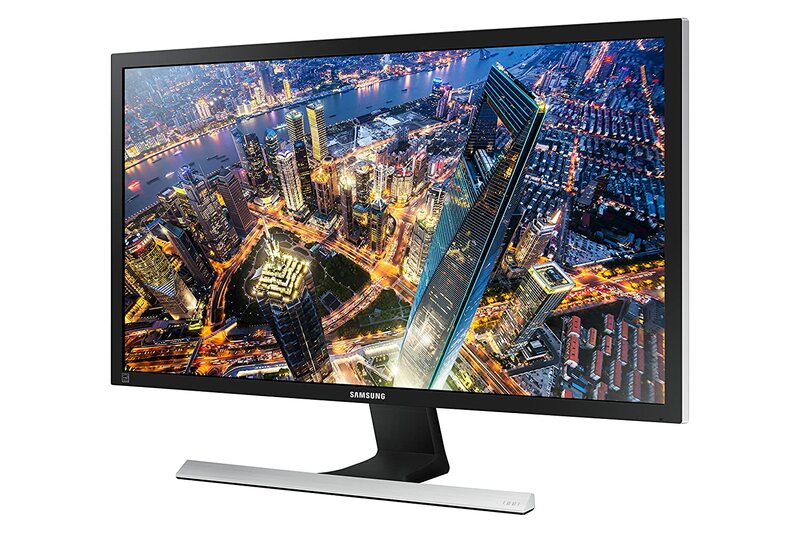 We have followed the development of 4K monitors very closely since they first saw the light, which makes it easier for us to give you a list of the 4K computer monitors available today. 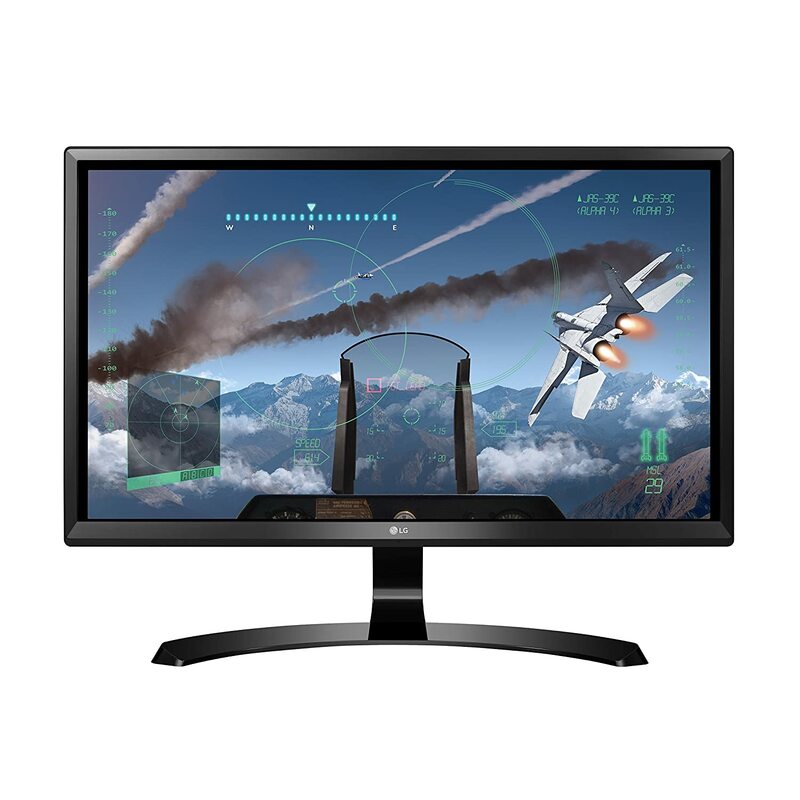 Whether you’re looking for a 4K Ultra HD monitor with the ability to adapt to video games, a monitor that fits critical color jobs or simply a 4K Display for regular use, you can find it here. Although the resolution in 4K is not yet fully standardized, they have already begun to replace the 1440p monitors due to their sharpness in addition to their more accessible prices. But there are multiple variants to consider before buying one of these beauties; luckily, we have the necessary information you need to know, such as panel type, screen size and features that are important for you. As always, there is no 4K PC monitor that meets all needs. 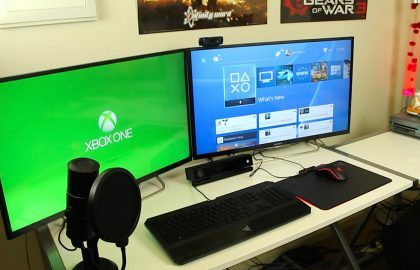 The list that we include below is formed by the best 4K monitors for gaming, editing, and daily use, as well as exceptional options and at different price ranges. After multiple reviews, investigations, and tests, it is safe to say that all these 4K UHD monitors are worth their price. You just have to choose the best one for you. As you can see in the list, there are multiple types of 4K monitors, ranging between $300 and up to $1000 dollars. 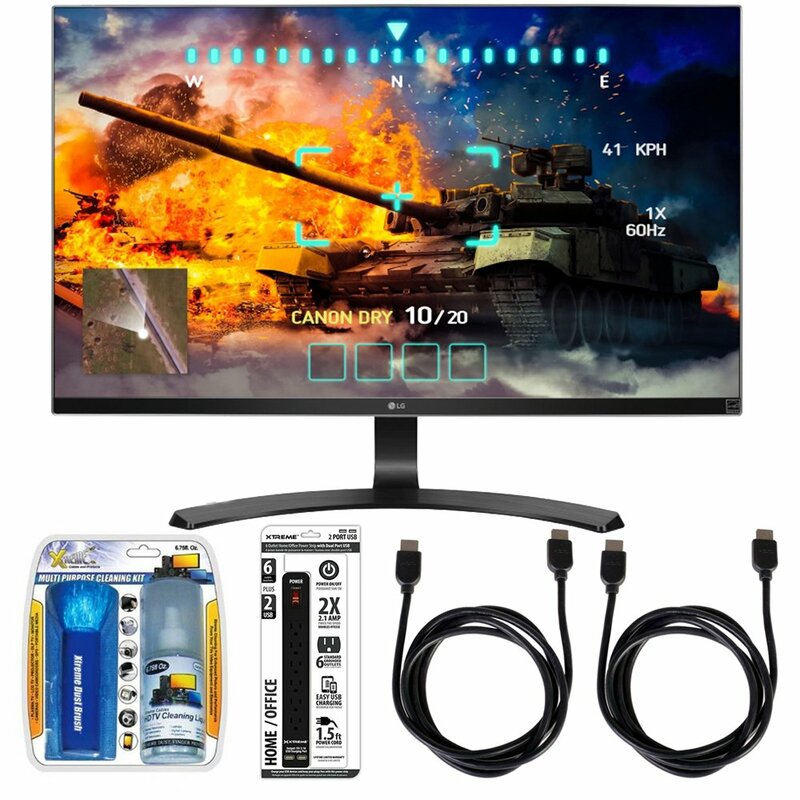 But, the most expensive option may not be the best option, which is why we will go into detail of each and every one of them so that you can choose the monitor that best meets your needs without spending more. In addition to its price, these 4K PC monitors can be divided into three categories: games, professional work, and daily use. If you are looking for a 4K monitor for games, it is advisable to choose one with adaptive technology. 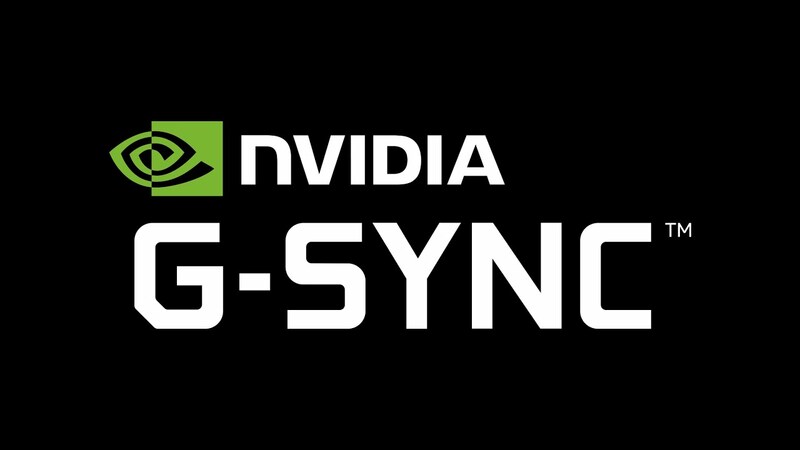 This technology, be it the Nvidia G-Sync or the AMD FreeSyncsynchronizes the refresh rate between your monitor and the GPU of the graphics card. To benefit from this feature you will need a graphics card compatible with G-Sync or FreeSync technology and a monitor that is also compatible with it. 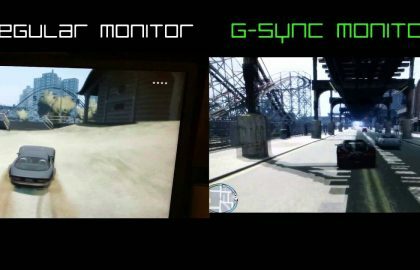 Although monitors compatible with G-Sync are significantly more expensive, these are undoubtedly the best choice, since the Nvidia cards offer the best gaming experience in 4K. At least until AMD finishes taking out the Vega cards. However, both technologies, dramatically improve your gaming experience by helping to maintain stable FPS (frames per second) rate and eliminating image defects such as “screen tearing” or “stuttering” and reducing delays in the input of video or “input lag”. Each monitor has a different range in terms of its refresh rate, so we will focus individually on the characteristics that each of them presents. Playing in 4K to the maximum configuration that the game allows you require a very powerful latest generation computer, so if these are out of your budget, take a look at our guide of monitors for gamers, where you will find more affordable screens. When talking about 4K monitors for professional graphic design, photography, video editing, we have decided to select only the screens that offer the full range of colors. This feature ensures perfect brightness and a uniform and accurate color. In the same way, we also invite you to take a tour of our guide of monitors for photo editing, where you can find a wide selection of monitors that display different screen resolutions. But, if what you are really looking for is a monitor in 4K quality to give it a daily use; watch movies, surf the internet, play occasionally, you can also find what you are looking for in our 4K monitors guide with good value for money. We are sure that our guides will help you find the best monitor to cover all your needs. The HDR format may already be popular on 4K TVs, but in the world of computer monitors, it is just beginning to surface. However, as there is little or no HDR content for PC, as well as limited support and viability in browsers and operating systems, unlike HDR applications in smart TVs, HDR monitors are not very viable at the moment. They are a good investment if you are a content creator, in which case you can take a look at the Dell UP2718Q with support for HDR10. 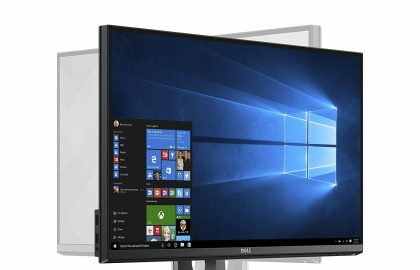 You should also be alert to false announcements of “HDR” monitors like the Dell S2418NX, which do not really meet the HDR10 standards but simply have a function to alter the images called HDR, as it happens with certain smartphones. The list will be updated every time we find other good 4K monitors. 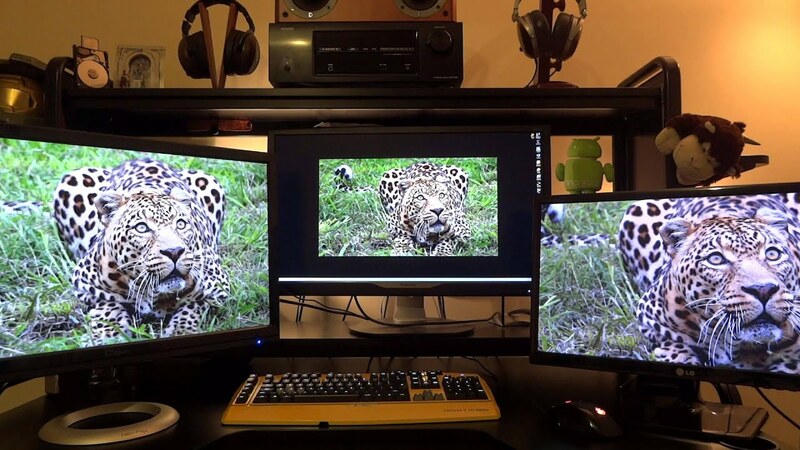 Meanwhile, these 4K PC monitors are the best available for now. If you think we have had a big 4K monitor or if you agree or disagree with our choices, let us know in the comments section below and we will try to clarify things. If you are short on budget, you can consider 1440p or 2K monitors and use the rest of the money to max up your gaming setup. The Swift PG278QR sticks to the basic, matte black monitor design script. It offers a wide quad HD gaming resolution of 2560 x 1440 pixels and a 165Hz refresh rate, 1000:1 contrast ratio, 350 cd/m2 brightness, 1ms (GTG) response time and 170/160 degree viewing angles. Along with a USB cable, the Swift PG278QR features two video inputs — one HDMI and one DisplayPort — and the corresponding video cable for each connection, are included. For providing a comfortable gaming experience, the screen comes with ASUS’ Ultra-Low Blue Light, Flicker-Free, GamePlus and GameVisual technologies. It offers NVIDIA®G-SYNC™ technology for seamless visuals and smooth gameplay and world-first 165Hz refresh rate, 1ms response time. With full tilt, swivel, pivot ergonomically-designed stand and height adjustment for comfortable viewing position. 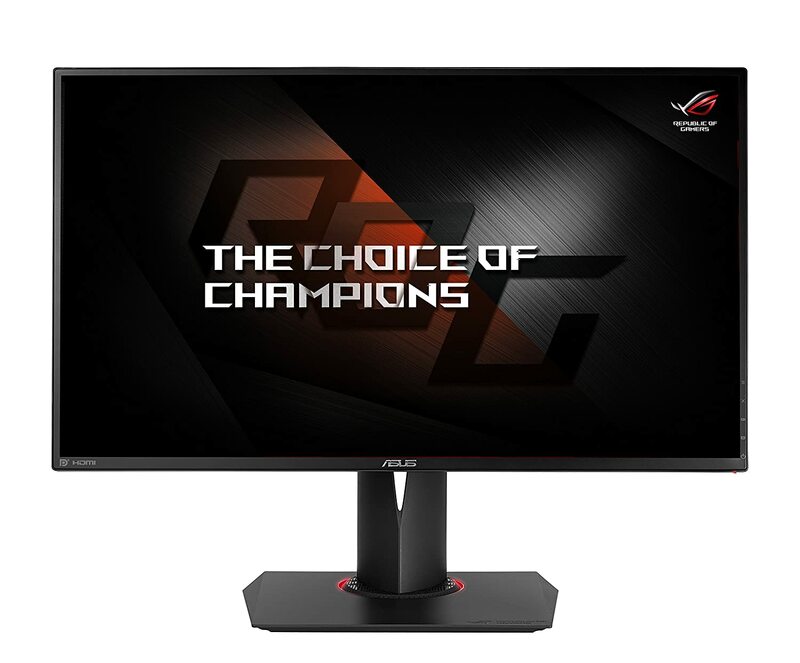 When it comes to responsiveness the Asus PG278QR can give some of the 1080p monitors E-Sports events use. It did not have interlacing or ghosting during testing nor did we see backlight bleeding, since the pixel transition was fast enough. The visual flaws will be the least of your concerns for a 165Hz TN gaming monitor. it’s easy to ignore known issues such as limited viewing angles and the lower vibrancy the imaging reproduction is the best we have seen on TN panels. 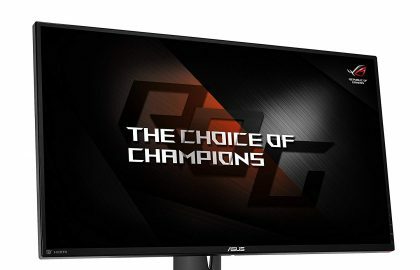 The Asus PG278QR is the best 165Hz G-Sync Gaming Monitor worth the price. 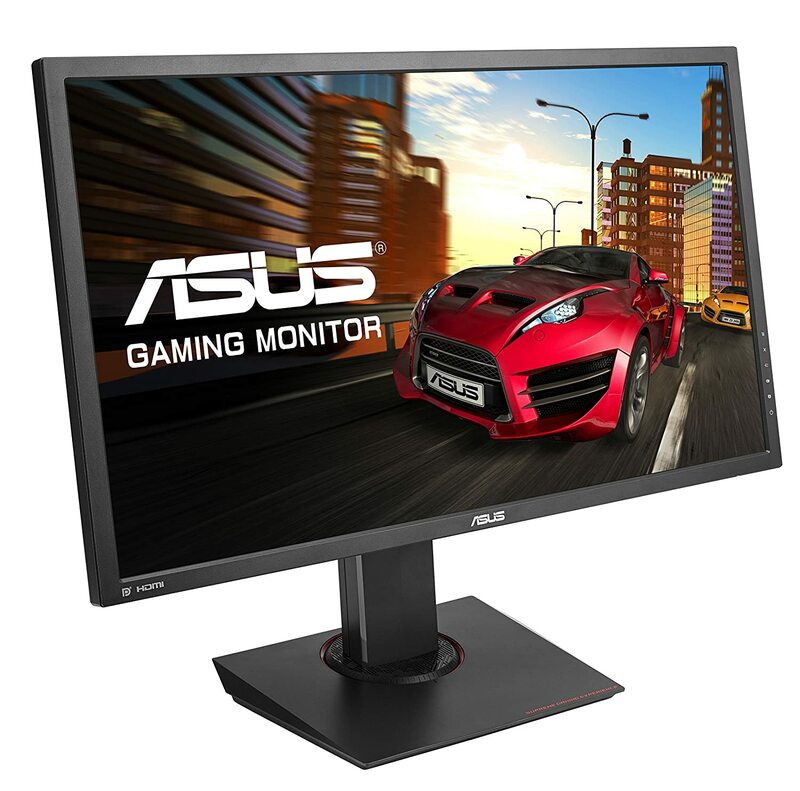 For gamers who want to make the jump to 4K, the ASUS MG28UQ is the best option, but for online matches where 60Hz refresh rates mean the difference between life and death, it could be a bit too laggy. It has a smooth 60Hz refresh rate that’s about par for the course for 4K monitors and a number of excellent gaming-oriented features, reasonably solid visual performance. While this display doesn’t exactly look as flashy as many gamer 4K displays we’ve reviewed, for starters, it still manages a nice solid design which includes a high degree of support stand adjustability, great display adjustment options, and easy display calibration menu controls. The MG28UQ offers up a very robust connectivity setup, with all important ports for HDMI 1.4, HDMI 2.0 DisplayPort and USB present and ready to deliver their particular data transfer specs. It has a very useful little 5-way joystick control that’s attached to the back of the display. The dual USB 3.0 ports are decent enough for connecting external media devices and hardware directly to the MG28UQ. It delivers everything you’d need for multi-monitor arrays, full 4K gaming and gaming in lower resolutions without problems. The single DisplayPort 1.2 slot is enough for most gaming and data transfer needs. Asus built all of these connectivity ports into the side of the monitor so that it is much more easily accessible and covered by a plastic lid which clearly labels each port by location. The Asus MG28UQ is a fast, powerful and robustly customization-friendly display device on a budget. The LG 24UD58-B is a good-looking 4k monitor that provides highly detailed pictures, vibrant colors, and excellent gaming performance. It is unique among its competitors with its screen split 2.0 feature and on-screen controls. The 24UD58-B gets exactly that tradition of LG, producing aesthetically pleasing products. The 24-inch UHD (3,840-by-2,160) is attached to a black cabinet with a grayish trim which is supported by a curved stand. It provides height and tilt adjustments, but not swivel or pivot. A 60Hz refresh rate and a 5ms GTG (gray-to-gray) pixel response, 10-bit panel covers 72 percent of the sRGB color gamut and has a peak brightness of 250 cd/m2, a 16:9 aspect ratio is the other distinguishing features. In gaming tests, the LG 24UD58-B is a solid performer. When tested with Grand Theft Auto V, played on Sony PlayStation 4, minus the usual issues of ghosting and screen tearing it deliver vibrant colors. The minor blurs on the screen can be eliminated by enabling the free sync, and the black stabilizer feature enhances playability significantly. With all shadow highlights remaining sharp in 4K images and videos the IPS panel displays every shade of gray accurately. The pictures are bright, with the rich color tone when watching 4K videos online, even when viewed from extreme angles. Black stabilizer setting can bring out the details in certain dark images. The LG 27UD58-B provides a surprisingly good performance and image quality considering its price. Moreover, it looks simple yet pretty and the best cheapest 4k monitor compared with others. Like the XB271HK, Acer has come up with another winner on its hands with the Predator XB321HK. The XB321HK delivers a highly detailed Ultra-High-Definition (UHD) picture and seamless gameplay based on a 32-inch, In-Plane Switching (IPS) panel with Nvidia’s G-Sync anti-tearing technology. The XB321HK has the same black, red, and silver Predator color scheme like found in the Acer XB271HK, the X34, and the Z35. There is a non-reflective, anti-glare coating on the 32-inch UHD (3,840-by-2,160) IPS panel and is framed by half-inch bezels. With a sliding hinge, the cabinet is supported by a V-shaped stand that gives you 4.7 inches of height and 30 degrees of tilt adjustability. On the right side of the lower bezel, there are five function buttons, that are used to access and navigate your way around the settings menus. 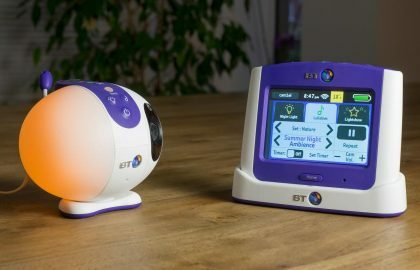 To reduce eyestrain, it also has several Blue Light settings as well as Brightness, Contrast, Color Temperature, Gamma, and Dark Boost settings. The XB321HK’s IPS panel provided very accurate colors right out of the box, in testing. In my test images, color quality was excellent. Likewise, on my 4K test photos, UHD image detail was sharp. There is a three-year warranty on parts, labor, and backlight for the XB321HK. It ships with HDMI, USB cables, a Quick Start Guide, DisplayPort, and a resource CD that contains drivers and a User Guide. The Acer Predator XB321HK is worth every penny even if it isn’t cheap. The 27-inch LG 27UD88-W is a monitor that delivers a wonderful gaming performance, a highly detailed picture, and plenty of features, including a USB-C port. The LG 27UD68-W delivers what we would call superb performance quality almost entirely across the board. Its colors are excellent highly realistic right out of the box and a minor amount of calibration only makes them look better, while contrast quality, peak brightness, and black levels all deliver on quality to a very high degree. Instead of clumsy button controls the LG 27UD68 offers up a broad series of on-screen controls for quickly and very easily adjusting monitor settings with a mouse. Other adjustments like Split Screen and volume, brightness, picture mode presets can all be tweaked quickly and easily here. It includes two HDMI ports and one Display Port. You will be able to quickly and effortlessly view the display of two computers or a gaming console side by side on one screen with the exclusive Dual Controller feature of the LG 27UD68. It also has an additional 3.55mm audio input jack next to the display ports. You will receive its detachable stand, a power adapter, an HDMI cable, a Display Port cable, a CD with information and drivers, and a cable management plastic which can be used for easier routing and concealing of the cables. The 27-inch LG 27UD88-W has a very reasonable price for a 4K display monitor. Offering excellent gaming performance, the 27-inch Acer Predator XB271HU is compatible with Nvidia’s killer G-Sync feature, which smooths gaming by synching the monitor’s refresh rate with the GPU. In other words, if you have a PC equipped with one of Nvidia’s GTX graphics cards, you’ll get silky smooth gaming at up to 144Hz (compared to the regular 60Hz that most monitors are capable of). The difference is astounding. Whether you’re gaming or undertaking productivity work, colors look vibrant on the XB271HU’s IPS panel, which also boasts excellent viewing angles. 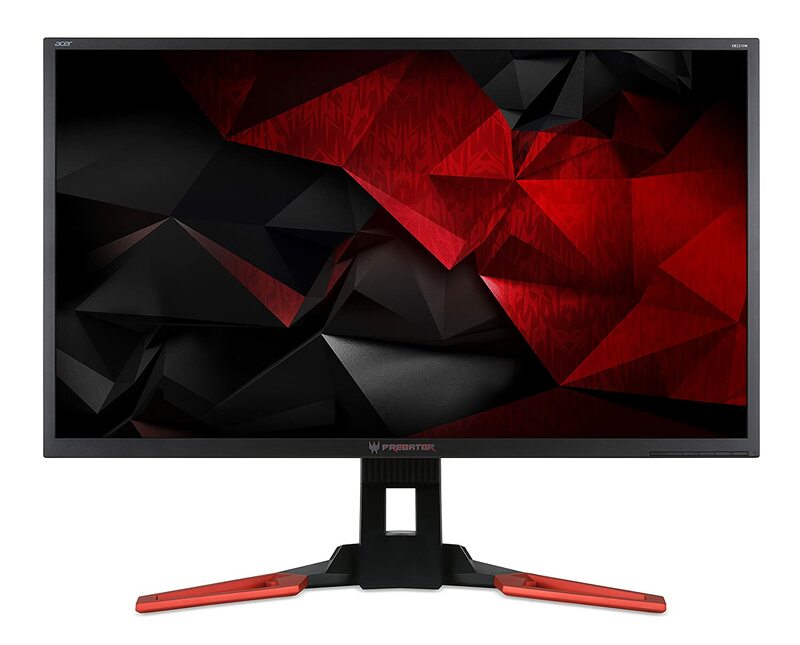 The Acer Predator XB271HU is one of a new breed of gaming monitors that not only features the high refresh rate you expect of a gaming display but has the great image quality you’d associate with an IPS panel too. The Acer Predator XB271HU is well-built too. Everything from the base to the back of the panel feels reassuringly sturdy, while the movements for the various ergonomic adjustments are smooth and effortless. The Predator features a proper rotating joint between the stand and the base. Another feather in this monitor’s cap is the inclusion of a borderless panel. This is where some of the already narrow bezels of the monitor sit below the front panel of plastic that makes up the display, with only a tiny 2mm bezel protecting the very edge. The result is that when the monitor is turned off, it looks like there’s an incredibly slim bezel, which in turn gives the whole unit a more sleek, compact look. 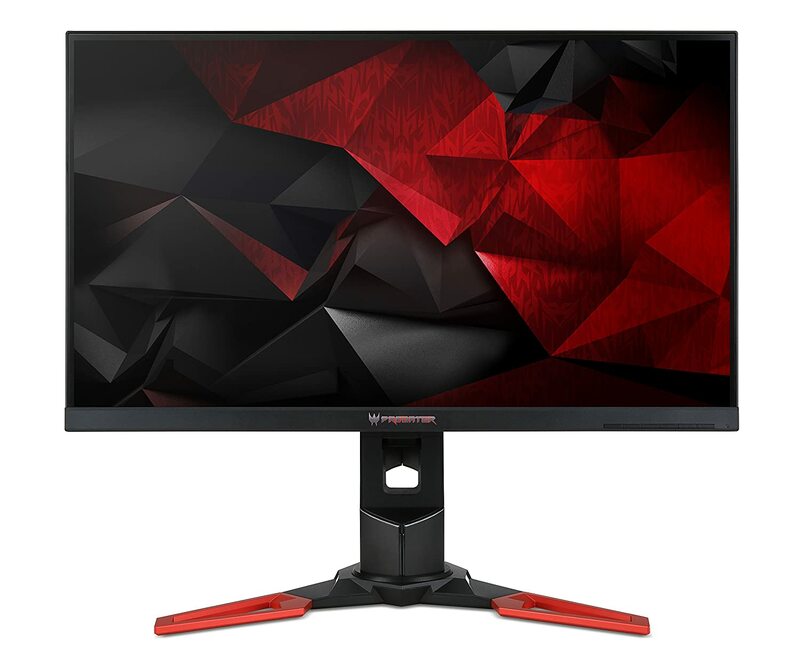 Overall, Acer Predator XB271HU is one of the best gaming monitors available today that is completely worth your money. The Samsung is one of the new waves of affordable 4K screens. The U28D590D has a TN panel and Samsung claims a slick 1ms response time making it ideal for gaming. The U28E590D is a slick 28-inch 4K gaming monitor that sports a sharp picture and eye-catching angular design. If your PC has the power, this panel brings the pixels — all 8.3 billion of them. Images are both detailed and clear thanks to a brightness of 370cd/m, and Samsung’s decision to fulfill the 1ms response time will let you swiftly pick off enemies in the darkest corners. Picture settings can be tweaked using the on-screen menu. Or you can sit back and allow its Game Mode and Dynamic Contrast modes to do the heavy lifting. DisplayPort 1.2 gives the green light for fluid 60Hz gaming at 4K. Smart port placement means you won’t have to bend backward to connect cables or peripherals around the back. Surrounding the display is a super-thin bezel too that lets you see the bigger picture.